When forming the Seek Common Ground network six years ago, we sought to incubate local efforts to defend high academic standards. We asked coalitions to adhere to a typical issue-focused campaign model: hire a strong quarterback, earn and place media, and influence policymakers. Coalition-building centered on that last component: a range of advocates, educators, employers, and civic leaders would show force and serve as a proxy for public will. That model exists for a reason: It works. But it rarely lasts. Change done “to” and not “with” the communities most impacted — no matter how promising or laudable — does not stick. So we changed our approach to education advocacy by employing design thinking and elevating family and community engagement. We found these two practices to be more important and more sustainable than traditional advocacy. In doing so, we became persistent in working through problems and sharing ideas and decision-making with impacted communities. What began as traditional, transactional advocacy evolved into movement-building. Here’s how. From the perspective of our state- and community-facing advocacy coalitions, the empathetic engagement demonstrated and modeled through family home visits held lessons for broader advocacy engagement. 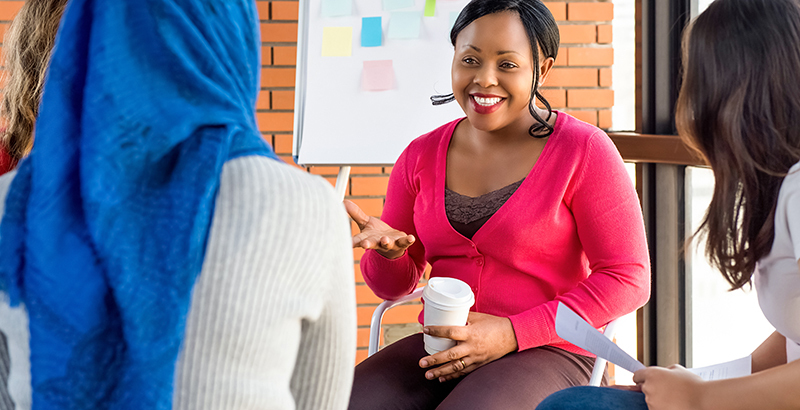 The Colorado coalition recognized that it could (and should) elevate community-facing actors and voices, facilitating a co-creation process connecting them with statewide-focused advocacy organizations to determine a shared policy agenda. Their passion, commitment, and demonstrated results resonated with other coalitions across the Seek Common Ground network. This has had a profound effect on coalitions’ approaches to determining their agendas and the focus of their activities. Whereas six years ago a coalition might have established a policy agenda by executive committee, today the work is in the field. Coalitions are employing design thinking to test ideas with families and other stakeholders, co-developing policies and practices, and refining ideas through regular, and deep, engagement. Awareness of other coalitions’ design thinking and family and community engagement efforts in the network has sparked progress on a myriad of issues: The Arizona coalition has raised awareness with policymakers of successful practices by highlighting individual districts like Yuma; Illinois successfully built a coalition to drive a funding formula fix; and the New Hampshire coalition is leading a community-based revisioning of the Manchester School District. This marriage of design thinking and authentic family and community engagement has had reverberating effects as we’ve come to realize that our role as advocates in improving public education is not to impose ideas but to work in concert with communities. By seeking common ground, we can come to sustainable shared solutions.